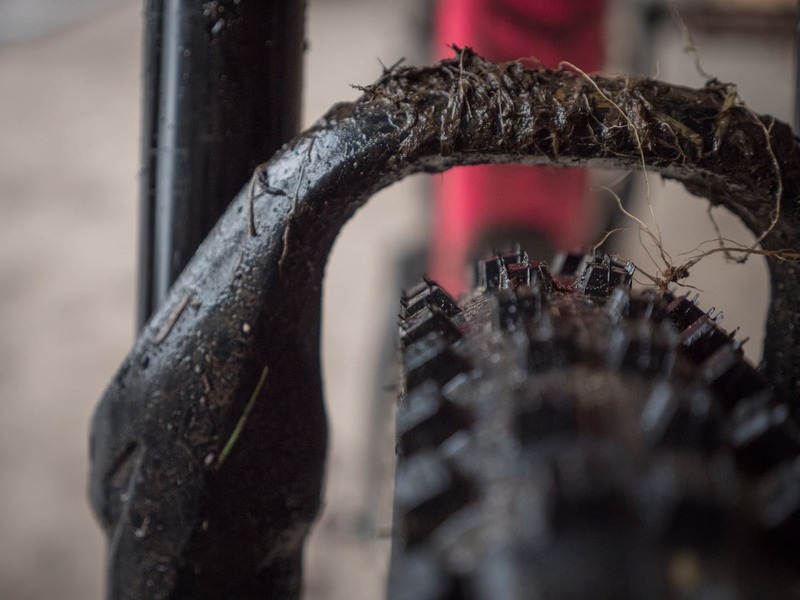 Designed as an intermediate mountain bike tyre suitable for winter slop and loose, technical trails, the Specialized Hillbilly tyre is distinguished by its sticky rubber and mud-cutting tread pattern. 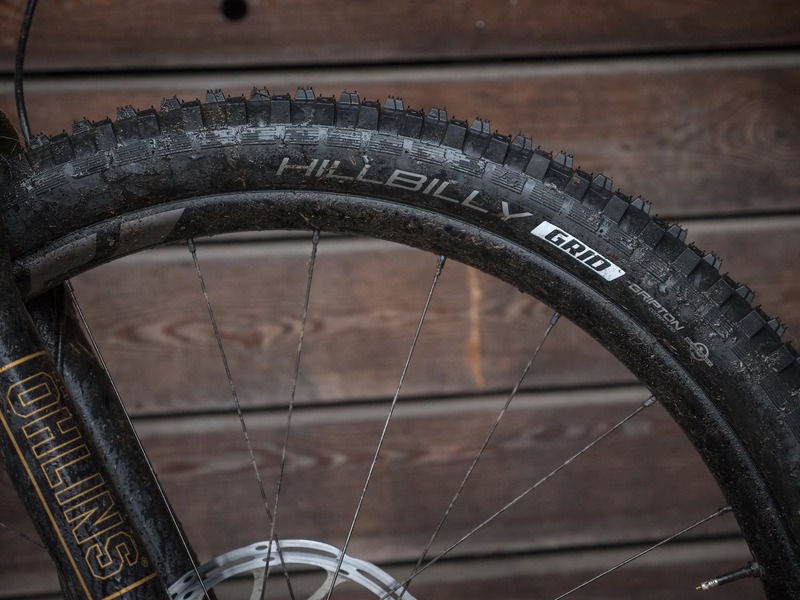 More recently, Specialized has added a bigger 2.6in option to the Hillbilly range, which follows the emerging 2.5-2.6in ‘Goldilocks’ tyre trend. To put these new not-quite-regular-not-quite-plus tyres to the test along with three other pairs of 2.6in wide tyres, we got our enduro moustachio, Ben Gerrish, to take them to task on some rocky Lake District carnage. Over to Ben! 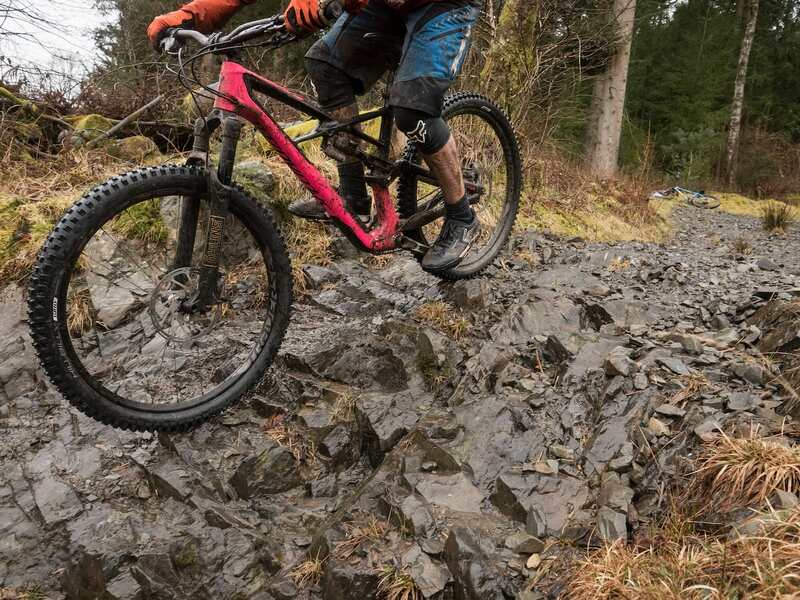 The Hillbilly is Specialized’s burliest mountain bike tyre for getting proper wild on. Setup on 29mm Roval rims, the Hillbilly tyres aired up tubeless without drama. 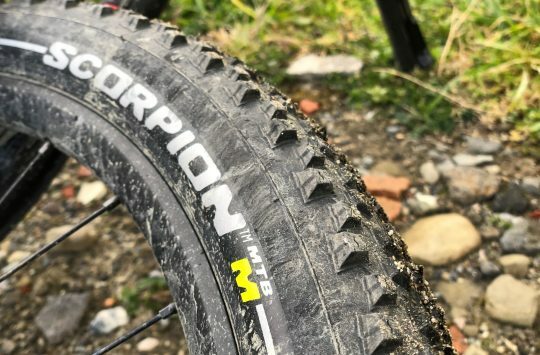 With the most aggressive tread pattern in the Specialized tyre range, the 2.6in Hillbilly is an absolute beast of a tyre in almost every sense. It comes equipped with the thicker and reinforced GRID casing, which has proved itself to be strong and durable without a huge weight penalty – our test tyres actually came in a lick under the claimed weight. First introduced to the Specialized tyre range in 2017, the new Gripton rubber compound brings a nice and soft tread for plenty of flexibility and traction, but without the typical compromise of increased rolling resistance and a faster wear rate. Don’t get me wrong, these are by the far and away the slowest rolling tyres in the group, but what you get in return really does outweigh that. True to the reputation for Specialized mountain bike tyres, the Hillbilly came up narrower than its claimed width. The deeply cut tread pattern offers killer wet weather traction and excellent mud-shedding capabilities. 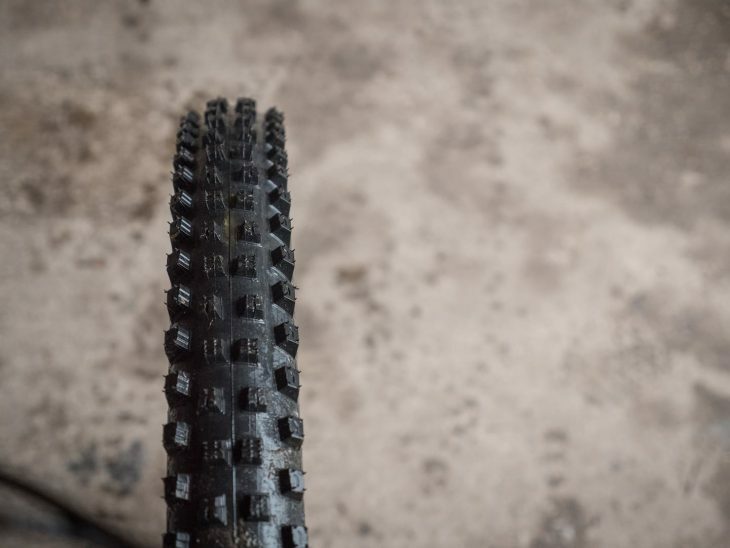 Specialized’s 2Bliss bead ensured a painless and easy setup on all tubeless compatible test rims, and throughout testing I ran the tyres with approximately 20psi on the front and 23psi on the rear. It is worth noting that these tyres don’t quite match the claimed width, which is hardly abnormal for a Specialized tyre. When fitted to Roval Traverse rims with a 29mm internal width, the Hillbilly’s measure up at 2.4in wide – a decent amount smaller than the claimed 2.6in width. Plenty of clearance in the Ohlins test forks. Even though they’re not super wide, you’re still presented with a monster of a tyre in the Hillbilly. There’s a deeply cut tread pattern for both the shoulder and the central knobs, giving the Hillbilly a spiky look overall. The centre knobs get a slightly smaller and pointier surface area, which really helps dig through the top layer in search of grip underneath. Gripton technology aside, you do still feel these tyres on the climbs – you’ll be working hard riding with them front and rear. Once turned around and up to speed though, it all starts to makes sense. 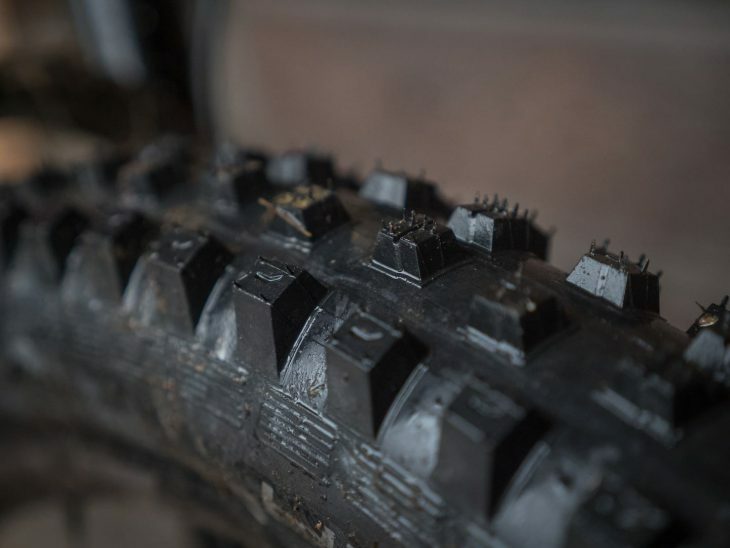 The large side knobs give you hero levels of cornering grip on most surfaces, especially on mud and roots, and it genuinely took me some time to get used to the amount of traction on tap when riding gnarlier trails in even gnarlier conditions. With these you can just let the bike go, and somehow you’ll still come out the other side with both wheels pointing in the right direction. The only time I ever felt anything other than complete control with the Hillbilly was on firm hardpack trails, where the tall and soft knobs felt a little squirmy, causing me to question whether they were about to suddenly let go. 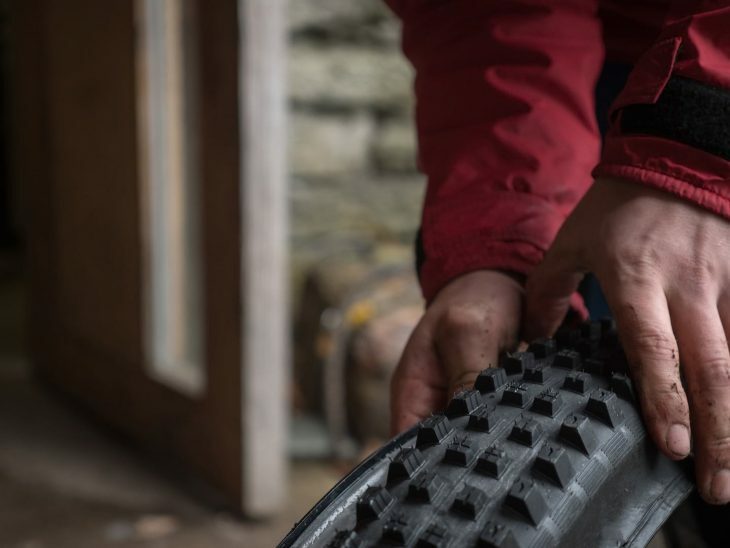 But then the Hillbilly isn’t billed as an all rounder tyre – this is a tyre that’s designed to cope with full-on harsh, wet, and loose conditions, and it’ll eat all of that for breakfast before asking for more. 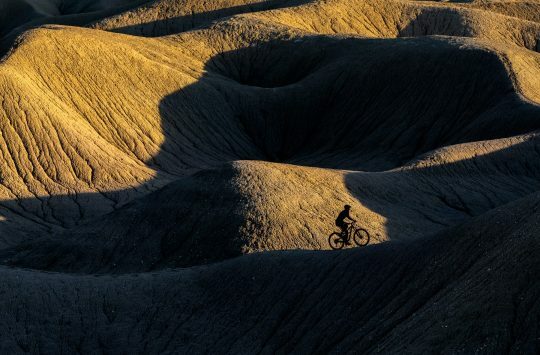 For confidence in the slop, run these front and rear. Mud clearing is excellent, leaving you with a consistent and reliable tyre to tackle even the slickest of muddy roots with confidence. 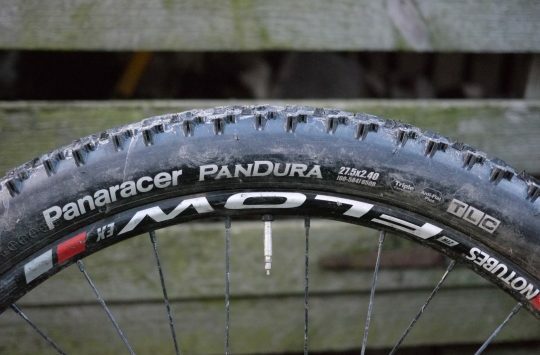 The malleable nature of the tacky tread makes them confidence-inspiring through rocky sections, and although not as tough a sidewall as some other brands DH-style casings, the GRID casing held its own and left me confident in its ability to hold strong against all of the hits I was putting it through. 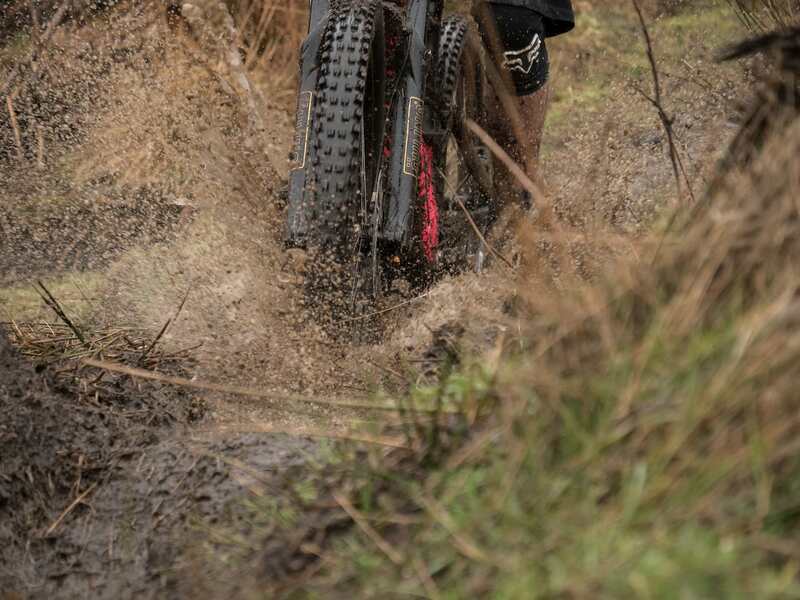 The Hillbilly tyres aren’t just for mud though, and Ben reckons he’d run one up front almost all year round. 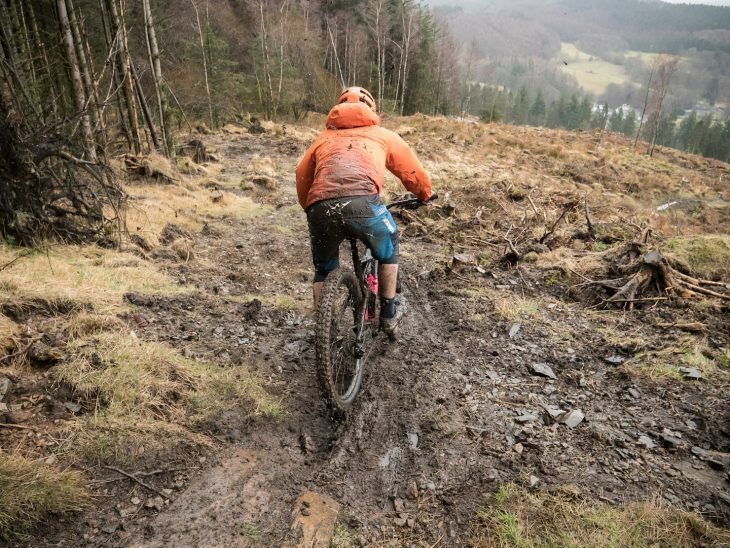 Although the Hillbilly is technically a mud specific tyre, in the Lake District, where I ride most of the year, it’s much more versatile than that. Combined with the right rear tyre, the Hillbilly could very well be a three season tyre, as long as you don’t mind the sacrifice of a little rolling speed. Specialized tyres have a good performance / price ration. However, they seem to come up consistently well below their marked width. I have just put a Butcher Grid 2.6 onto my front wheel (29 mm internal) – the measured width is 61mm. It replaced a Schwalbe Magic Mary 2.35, but…the Magic Mary was actually wider, at 63mm wide. @Rubber_Buccaneer – Good spotting! The £40 price is for the narrower 2.3in version of the Hillbilly GRID tyre, while the bigger 2.6in version goes up to £50 per tyre. I’ve amended the review accordingly.